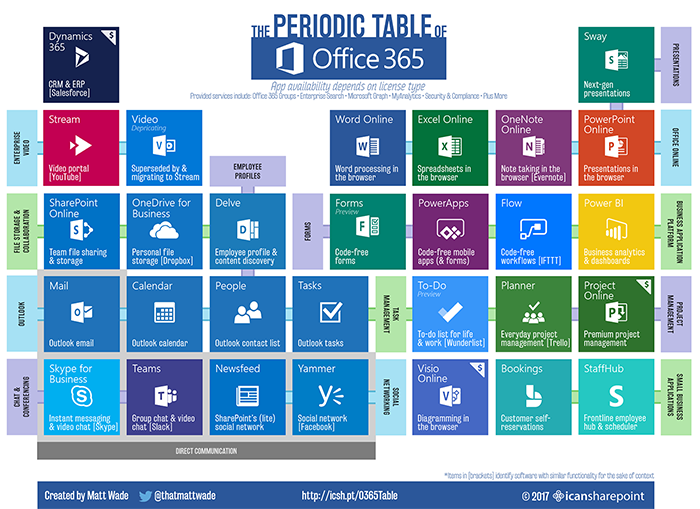 BlogHome » News » News » 60 Second Briefing: What is Office 365? Office 365 comes in all shapes and sizes, meaning that Office 365 packages can cover many different requirements and needs. Whether you’re a student, businessman, or just want to use Office 365 personally at home, there are options for you. Office 365 for business is a suite of business applications that are all run on and powered by the cloud – meaning that you get all the features of office with all the benefits of the cloud. These apps and files can be accessed anytime, anywhere and on any device. So what is included in Office 365? The office apps are all available in the online version, such as the classic Microsoft Word, Excel, PowerPoint etc. This means you can view and edit files anywhere, on the go. With the business class email app – Microsoft Outlook – you can stay in the loop and up-to-date with all your emails without having to be sat at your desk. This means you can access email, contacts and shared calendars anywhere so that now you can work wherever you work best. Microsoft Office 365 includes social apps such as Yammer and Teams. These apps enable people to work collaboratively and communicate easily, all in one place. Click here to learn more about how Teams works. Skype for business is also included into the package which allows people to communicate via instant messaging, voice and video calls. There are many file storage options for Office 365, but the main apps for this are OneDrive and SharePoint. As mentioned in a previous blog post, they are both essentially the same thing, yet completely different. SharePoint is more tailored for file sharing and teamwork within an organisation, and OneDrive is more suited for personal file storage. With Apps such as PowerBI, organisations can keep track of their business stats, all in one place on the users own personal dashboard. It produces interactive reports which bring data to life in a visual way. This allows you to stay in control of your business. previous post: 60 Second Briefing: What is PowerBI? next post: 60 Second Briefing: What is Planner?